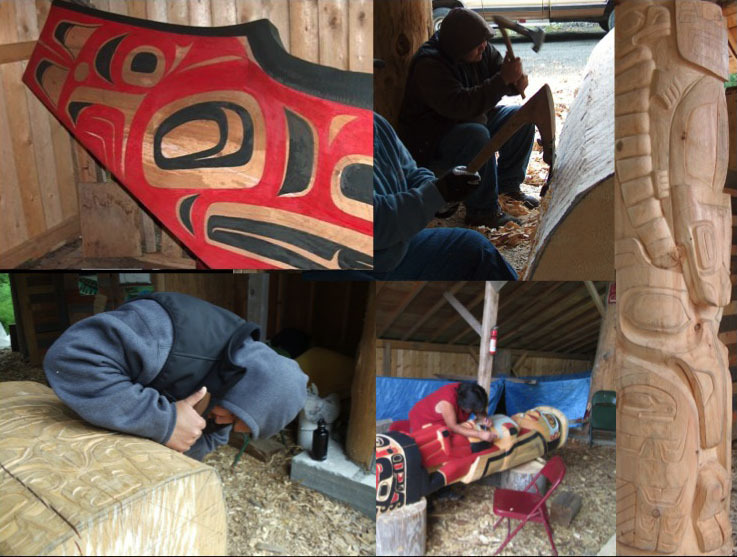 During the summer months the JKHC usually has a carving project happening at the Traditional Knowledge Camp. Local carvers Jim Heaton, Joe King, and Jeffery Klanott are on-site during our tours at the camp and are available to respond to questions and tell you more about this traditional art. The camp’s Adzing Shed also houses a 37 foot dug-out canoe that was made by a group of local carvers and completed in 2010 with the help of master carver Steve Brown of Sequim, Washington. Be sure to stop in and see it. Participants in the Salmon Camps will be invited to go along on a short excursion at the end of the week-long camp.